Where is the book publishing industry heading? If Black Friday and Black Monday are any indication of things to come, it appears consumers are spending again and they are buying books and a ton of e-readers. Below are some interesting statistics that provide a snapshot of the industry, as well as an interview with an author. Enjoy. 1. Your new book is due out in January, called LIFE. What inspired you to write it? LIFE: Living in Fulfillment Every Day was a joint effort. I wrote it with my beautiful co-author Annemarie Greenwood. We are both registered yoga instructors and LIFE was inspired by our yoga students. When we talked about finding true happiness and lasting fulfillment in our classes many of our students expressed frustration with the self-help books on the market, saying that they didn't really answer their questions, or that the concepts were too esoteric. So we decided to write a book that would answer their questions, but in a really down to earth, accessible manner. And we did that by creating a story, a dialogue between Eve, an unfulfilled woman and Grace, an enlightened teacher. The two women spend a transformative day at the beach exploring the path to fulfillment. 2. How do you hope people will react to your book and utilize what it offers? LIFE is unique. The book incorporates detailed explanations, visualization exercises and thorough descriptions that you will not find in other self-help books. And since they are all creatively presented as part of a story, they are literally as comfortable and relatable as two women talking. We have powerful concepts like the SOS alert, which helps you become more aware of the words you use every day and their impact on your life; and the Waffle Meter, which helps you determine which choices, thoughts, and actions propel you toward happiness and fulfillment and which ones pull you further away from what really matters most to you. Our hope is that everyone takes something away from the book that will propel them onto the path of living a life of happiness and fulfillment. 3. What do you love most about being an author? I love that I can help people and that I can reach them with my words. It’s all about sharing an intimate connection with the reader. 4. What advice do you have for fellow authors? 1) Bum glue and perseverance! Keep your bottom glued to your chair; don’t give up! Follow your dream; believe in yourself, and keep writing! Always do what makes you happy; do what you love and you can’t help but succeed! 2) Make it happen! If you have a great idea, write it down (see bum glue and perseverance), get it professionally edited then if a traditional publisher doesn’t pick it up—look into self-publishing. If you want it badly enough don’t take no for an answer. Make your own solutions! 5. Where do you see opportunities in the publishing marketplace? I firmly believe that if we want something badly enough we will put in the time, effort and sheer determination necessary to succeed. In essence we will it into being. And today’s marketplace offers unlimited potential to achieve our humble goals of publication; it is a wonderful time to be a writer! For example, if you decide to self-publish, essentially you have an opportunity to jump the middle man and connect directly to your readers! Whether it’s through eBooks or print books, self-publishing offers tremendous opportunities for writers. Though that being said, it’s not about slapping a bunch of words down and throwing it out into cyber space. If you want to be seen as professional, if you want your book to be taken seriously, you need to seek advice on craft and have it professional edited – and I don’t mean by well intentioned friends. Then you need to hire someone to promote your book. After all, no one is going to read it if they don’t know it exists! The book publishing industry in the United States is comprised of about 2,600 book publishers that have sales of $100K or more. Of these 1,100 have revenue of $500K or more. 55 percent of al book purchases a decade ago were for fiction. The number of printed titles from traditional publishers increased by five percent in 2010, to 316, 480. But the non-traditional sector boomed by 169 percent, to 2.77 million titles published in 2010. These books, marketed almost exclusively online, are mainly self-published books and on-demand titles that are published by print houses specializing in public domain works. Lauren, what does it feel like to be a NYT best-selling author? Oh! Well, I mean, of course it feels incredible. Also very surreal. It still makes me squirm to go into bookstores and see my books on display! What is your most recent book called? What is it about? My most recent book is called Liesl & Po, and it's a novel for middle-grade readers (although I think it has broader appeal!). It's about a girl, a ghost, and a box containing the greatest magic in the world. The website is here: www.lieslandpo.com. What do you love about writing books? I love living in a world of my own creation; it's nice to be able to retreat somewhere safe whenever you like. And I love working from my pajamas! Where do you see the book publishing landscape heading? I'm excited to see the opportunities that an increased reliance on digital books brings, in terms of multimedia storytelling and direct-to-consumer serialization. But I do think publishers will always have a role, even if in the end they end up being more the "tastemakers"--people who sort and distribute content, in whatever form this content assumes. What advice do you have for authors looking to breakthrough? Just keep at it! That's what every writer says, but it's really the only relevant advice there is. Keep reading, keep writing, keep sending out your materials. · Should you promote a book that is bad or boring? · Can you promote an author that you don’t like? · Should you promote a book that you disagree with? · What if the author and you disagree on what the talking points should be? 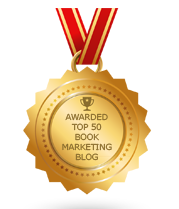 · How do you promote a book that you know is not as good as 50 others in the same genre? · Should you say an untruth to promote a book? · How do you give enough time to promote each of the books you’re assigned to work on? · Should you suppress or avoid the truth while promoting a book? Before you formulate answers to these questions, consider what your overall ethics and morals are. Once you have a sense of who you are and what you stand for, you’ll be able to tackle questions in all areas of your life – professional, personal, business, political, relationships, etc. Your role as a book marketer is an extension of you and not an isolated part of who you are. · Fear of losing your job or sacrificing the potential for advancement. · Risk of angering others or feeling alienated. · Peers do, say or think. · Risk-reward for action, opposition or inaction. · Access to all of the information/facts. · An understanding of your choices and options. · Attitude, mood, mental state, or emotional state. · Sense of right-wrong and hierarchy of values. · Level of awareness of a dilemma even existing. · Sense of loyalty or allegiance to a person, place, thing or concept. What would you choose to do in any of the above listed situations? Think about it now so you will know how to act when these situations arise. 1. How does it feel to have written a book that became an amazon best-seller for medical thrillers? It's a great feeling because I know that I'm getting my message out to a lot of people. I hope it changes the way they think. I know it has for some, because they told me. 2. What is the book called? What is it about? The book is titled "The Eden Prescription" and shows what might happen if an all-natural cancer treatment ever got close to clinical trials which would publicly validate it. There is a battle going on behind the scenes now, the scale of which a lot of people don't understand. On the one hand, pharma companies will sell about $80 billion worth of chemo drugs next year and you can imagine they're motivated to keep that going. On the other hand, the science behind natural medicine for cancer has advanced at a revolutionary pace in the past ten years. There are now over 250 active clinical trials testing cheap, non-patentable natural medicines against many different cancers, with several breakthrough results already reported. Any of them may pose a direct threat to Big Pharma's cash flows, and there are already signs of organized efforts to slow natural medicine down. I go into great detail about this in the book—in a fictionalized way, of course. Believe it or not, two similar revolutions in natural medicine occurred before and were completely snuffed out: one a century ago, the other thirty years ago. I know this because I spent five years researching natural medicine in order to write this book. 3. What advice do you have for authors looking to breakthrough? Write about something that you are passionate about, something you desperately want to communicate to the world so you can change it for the better. Then write with excellence. Don't fall in love with a favorite scene, character trait or even sentence. If it doesn't fit in the story, get rid of it or park it for use in another project. If you have to spend six months rewriting the first half of your book to make it shine, do it. Don't ever compromise on quality. You owe it to your readers and to yourself. 4. What do you love most about being a writer? I love the pure creativity of inventing people, places and events, and then being able to talk through them. I also love the feedback I get from readers. One said the book inspired her as she went through cancer treatments which included a component of natural medicine (which worked, by the way). 5. What do you make of the book publishing landscape and how it is changing? I first looked into self publishing about six years ago before it really took off. Since then, the scale of this industry has grown far beyond what I ever imagined. I published my book probably as that industry was peaking. Now there are so many Indie publishers and self-published authors trying to sell their works, it is extremely difficult to have my voice heard in the crowd—even when my book has been awarded a Kirkus Star. It's hard to compete with books that are being given away for free, something which was unheard of just a few years ago. But I also sense the public is becoming more discerning with regards to quality. Where and how to find it is the key question, and right now I don't know how to answer that. Sometimes the world needs to take a time out and Thanksgiving is one of those times. Sure we eat like pigs, see family we don’t always get along with, watch parades and football…and stretch before we attack the malls on Black Friday, but let’s not lose sight of the holiday’s true meaning. Pilgrims and Indians broke bread and for at least one day, learned to get along. We should each look at our lives and give thanks for what is good in our world. · The fact that millions of authors are writing and publishing books, keeping the marketplace competitive and employing editors, agents, marketers, publicists, editors, printers, stores, wholesalers, distributors, packagers, consultants, and all those who represent the most literate industry. · The book-buying public continuing to buy books despite the Great Recession and in the face of increased competition for one’s attention span from smart phones, DVR/TV, Netflix, iPads, ipods, videos, video games, music, theater, sports, etc. · Traditional media surviving their ad revenue decline due to the recession and online competition. Those that re-tool or expand in other areas will not only survive these tough times but will thrive for years to come. · Oprah stepping down. Though she was a strong advocate for many, as a publicist all that I was asked by every client was “What about Oprah?” Now that she’s gone I am asked about other media outlets but no single show is asked about like hers was. · The New York Post. What an entertaining newspaper! · The New York Times. Intelligent, resourceful, and liberal but fair and accurate. · Barnes & Noble. They are the book store superhero. If they fail it will speed up the end of printed books. · Independent book stores. I don’t know how they survive but am glad they do. They keep communities together and give space and shape to a world that increasingly lives in an electronic box. · Free social media. It’s great that Facebook, Linked In, Twitter, You Tube, blogging and all social media remain free and accessible to all. We may spend too much time in social media land and many communications are frivolous, but when used smartly, social media is a real savior for those in publishing. · New books. I love to learn new things, hear new ideas and to participate in an intelligent dialogue with a new book. I particularly love smelling and touching a book as I crack open the first page. I feel like I possess something special when a book fills my hands. I wish everyone a Happy Thanksgiving. Before you rush off to enjoy the holiday and then return to your normal daily routine, take a time out and reflect upon what you are thankful for…and say a little prayer for the book world to grow in 2012 and beyond. 1. What inspired you to become an author? The need to share knowledge and thoughts with others, contributing to the ongoing conversation that makes the world such an interesting place. 2. What do you like most about being a published author? I love watching the slow process that transforms a fuzzy intellectual idea into something that people can touch and read and discuss and slowly incorporate into their life. 3. What do you find most challenging in the process of promoting your book? Often times promoting a book is more time consuming than writing it. I find it really hard to make tough decisions about which promotional channels are worth spending time, energy and maybe money on and which are not. 4. What advice do you have for struggling authors? Don’t give up, keep going, keep writing, keep publishing, but at the same time be realistic about your finances and keep a financial parachute (a job or other predictable form of income) that will help you navigate the first years, when money isn’t likely to flow in buckets. 5. Where do you think book publishing is heading in five years? I think publishing is going to be digital only (think about what happened to music) and books are going to be shorter and shorter – people’s attention spans are shrinking. I also see how publishing could become linked to social media – with revenues perhaps attached to a system of sharing. 6. What was you most recent book about? My most recently published book (Ideas in Reality – Making Your Ideas Happen) is about the process that turns an idea into a project and then into something real and tangible. In today’s extremely specialized world, it is very common to categorize people as being either gifted creators or great executors, but rarely both. While it is true that most people have a predominant attitude or preference for either the creative aspect or the execution aspect, there is absolutely no reason that prevents someone from being great at both. My book is about bridging the gap between a brilliant idea (which may pop up unexpectedly under the shower or while taking a walk) and what it takes to actually make it happen. 1. Elise, how did you become a children’s book author? I’m actually an author and illustrator — but I started out strictly as an illustrator. Back in the day it was pretty much a case of bringing my portfolio around and trying to get in to see someone. My first break came from what was then called Harper and Row. I was given a cover to illustrate and after that a picture book. From there more books followed. I was doing a lot of books in the 90’s for Putnam’s and after a while the subject just sort of came up about whether or not I had any interest in writing my own picture books. I wrote and illustrated three books of my own during that time. I think a lot of illustrators have transitioned into writing this way. I wrote and illustrated my two AUNTIE CLAUS Christmas books, in 1999 and 2002. Right after that I got an idea for a novel called THE SECRET ORDER OF THE GUMM STREET GIRLS and surprised myself by actually being able to write something for older kids that were longer than forty pages. It has definitely been an on-the-job learning experience. I have relied a lot on and have learned a tremendous amount from the great editors I’ve worked with. Since that first novel which came out in 2006 I’ve written lots of different types of children’s books; a boy oriented graphic novel series, more picture books that other artists have illustrated, I just finished a more realistic illustrated novel about a girl who starts to ride horses called LIBBY OF HIGH HOPES which will be out in June 2012. Right now I’m working on an illustrated novel to be published in 2013. 2. What have you done to promote and market your book? Probably not enough. I will do eblasts to tell people about somewhere I’ll be or if a new book is coming out. I have a “news” page on my website with updates about what I’m working on. I’m on Facebook, (but I must confess I hardly EVER participate) I don’t do Twitter, I just started with LinkedIn. Last year I got together with a couple of guys named Bert Bernardi and Jimmy Johansmeyer who are into children’s theater and I asked them to make a song for a picture book that I wrote and illustrated called THUMB LOVE. We shot a music video and then put it on YouTube, my website, and their site. I’m not sure if it generated sales, but it was terrific fun. Also, the publisher did a blog tour where I wrote a few paragraphs for about a dozen different blogs. I guess that’s about it. The problem with marketing for me is time. I’m writing and illustrating my longer books and it’s very time consuming—especially the art. I don’t have a lot of extra hours to spend on marketing as well. 3. What do you love about writing books for young minds? I guess I just love children’s books. I was a huge comic book reader as a kid and then of course the HOBBIT and THE LORD OF THE RINGS. I think it’s a combination of becoming immersed in a fantasy world, the characters who inhabit that world, and the images that are conjured by the words. I’ve always been fascinated by the combination of words and pictures. It’s very magical to me. I love the work of William Steig, Raymond Briggs, Maurice Sendak, graphic novelist Lynda Barry, William Joyce, Chris Van Allsburg. I don’t love mystery stories, but I do love mysterious stories. I really like Neil Gaiman’s work. My love for stories, and pictures, and characters, went beyond just reading them—I had a very strong compulsion to create my own and have spent somewhere around twenty-five years trying to do that. Might I add that I STILL don’t feel like I know what I’m doing every single time I start a project. But even after all this time, sitting in my studio and coming up with ideas, combining the words with the pictures never gets old to me. 4. Where do you think the book industry s heading? If only I had a crystal ball! I hear all sorts of things; kids aren’t reading, no one wants to buy books, picture books are dead, books are headed off a cliff etc. All I can say is that I still use a legal pad to jot down my ideas in long hand. I still sit down with a pencil and eraser to begin to illustrate a book–I still have to think – Google doesn’t have my idea for my next book. Every day I just try to stay on the path and do the best books that I know how to do. With all my heart I don’t believe people will ever get tired of hearing a good story. 5. How do you collaborate with your illustrator to tell the story so well? I am still new at collaborating with artists who illustrate my words. To be honest I find it sort of difficult to see someone else do the art for words I’ve written. I have such a clear vision of how things should be that it is very jarring to see someone else’s take on a manuscript. 1. As the author of the amazon bestseller, "Know the Name; Know the Person: Decoding Letters to Reveal Secrets Hidden in Names", what do you feel moves people to buy books? People purchase books based on the book's title, the colors on the front cover, the headline on the back cover and the table of contents. We want to be entertained and/or discover something new and we don't want to have to work at it. So, when something looks both fun and interesting, we'll buy into it. 2. How does being a speaker help you brand yourself and sell books? Speaking helps people connect with me personally. They get to see how I've used names in so many fascinating ways and that they feel inspired. The best part is that I give out useful information that can be used immediately so that people can have fun with other peoples' names. Interpreting names of people in the audience demonstrates some of what we know about a person before we really know them. This is the next best thing to mind reading. Who wouldn't want to know how to interpret names once you see it in action? That helps me to sell books. 3. What is your book about? We are all fascinated by names and what they mean. When someone meets us for the first time and asks who we are, we answer with our name as if that says it all. Indeed it does when you know how to interpret a name as our names give others insight into our personality traits, our feelings and out behaviors. Other books on names give one or two sentences on what a name means. In "Know the Name; Know the Person" you discover how to get pages of information on someone based on the placement of the letters in their name using a fairly new science called Neimology® Science. 4. What do you love about being a part of the book industry? I love sharing knowledge that can help people understand themselves and others better. Being a part of the book industry allows me to do that. 5. Where do you think it is heading? I see people using Neimology® Science when determining whom to date; employers using Neimology® Science when hiring; parents using Neimology® Science to help connect with their children better and to help name their babies; Neimology® Science can be used to help determine who could have committed a crime or when selecting juries and you can use Neimology® Science to help you get hired and to determine whom you'd like to work. I personally use it to help me know someone's learning style before I teach a class, and what gifts someone would like to receive. 1. What do you love most about being a children’s book author? I love working on projects that interest me, and I can't think of a better form for delivering artwork and ideas than a picture book. If you get it right, the work is looked at over and over, becomes a part of a family, and may be shared for generations. And I love the audience. Kids are open and enthusiastic an honest. It's always a thrill when I open mail containing artwork from a child that was inspired by one of my books. Now it is mostly electronic, but in the past I received many heavy, squishy parcels of flattish plasticine artwork! 2. What are parents are really looking for in the books they buy for their children? I hope they are looking for books that will fascinate, delight and engage their kids. In the case of a picture book, it helps if the book fascinates, delights and engages the parent, because an enthusiastic reader connects to the listener and brings a book to life. 4. Will children’s books convert well as e-books? I feel that the physical book is a very important form for young children, for reasons too numerous to mention. Picture books as e-books risk becoming a toy rather than a book. Not that there is anything wrong with toys, and the digital stuff can be fun and beautiful and creative. My hope is that e-books will offer the author and illustrator's content as it was created, and the apps and do-dahs and add-ons are separated somehow so the user has the opportunity to experience both. 5. What advice do you have for fellow authors to succeed? Creators need to focus on their work and what they are passionate about. All the other stuff won't do much good if you don't have excellent original material. 1. What inspired you to become an author? A girl has to do something with all that imagination! 2. What do you like most about being a published author? Getting to hang out with readers. 3. What do you find most challenging in the process of promoting your book? Managing to do everything I want to do. I love to promote! But as with all things in life, this requires budgeting of both funds and time. And that means I can't always do everything I want to. Darn! 4. What advice do you have for struggling authors? Keep learning (you should always have a new book on writing on your bedside table), and keep writing (and applying what you've learned). 5. Where do you think book publishing is heading in five years? There will always be a need for good stories and, obviously, those stories will be available in increasingly different forms. I don't think traditional print publishing is dead (too many people, including me, still like the feel of a book in their hands), but there is definitely a new kid on the block thanks to the availability and affordability of e-readers. Hopefully, in five years more people will be reading and publishers will have found ways to meet that demand that benefit us all. 6. What was your most recent book about? THE NINE LIVES OF CHRISTMAS is out now and is about a cat desperately trying to hang onto his ninth life. This involves some serious good-deed doing, like matching up a commitment phobic fireman with the shy woman who works at the local pet supply store. 1. What inspired you to become an author? A 3rd-grade writing assignment. I got such pleasure from writing the story that I wanted to experience that pleasure again. Also, other kids liked my story. My most recent book, Paranoia & Heartbreak: Fifteen Years in a Juvenile Facility, is a memoir of my years as a rehabilitation counselor in a prison for children in Washington state. It is taken from the journal I kept during those years. I have since written a companion to it in which I followed five kids I knew who were in prison and were released, and about whom I had information. This book is being reviewed by another publisher. I have also written a book about one girl who was in for murder and who was on my caseload, and her attempts to deal with what she did and why she did it, and what it means for the rest of her life (she was sentenced as an adult). I intended to publish this book with my own company, and still may, but I have decided to enter it in some contests first. 2. What do you like most about being a published author? Knowing that I have moved other people--i.e., my readers. 3. What do I find most challenging in the process of promoting my book? Having to talk about it. By the time the book is published, I'm well into writing another book. While the book is new to the reader, my concentration is elsewhere now. Also, many interviewers ask questions about the book, obviously with something in (their own) mind, that I do not get. One interviewer asked me to compare the army with my job as a counselor in a juvenile prison. I had no idea why she had asked that question or what she meant by it. 4. What advice do you have for struggling authors? If you don't feel impelled to write, then don't. For almost all writers, there are few rewards other than the writing itself. Although, nowadays it's relatively inexpensive to send a few copies of what you've written--either digital or POD-- to people you want to read it. Of course, that doesn't mean they will read it. 5. Where do you think book publishing is heading in 5 years? I assume today's trends will continue. In some book genres, digital publishing will become increasingly important, in others not so much. Literary agents and publishers will be increasingly ignored as authors make their own arrangements such organizations as Amazon and Lulu. These organizations will proliferate. Other organizations, representing themselves as brokers to digital publishers, have already started up--I expect them and perhaps other types of company to try to insert themselves into the space between author and publisher, and between author and reader. 1. What inspired you to become an author? The thought that there were many people, like myself, that wanted the best (food and treats ,etc)for their pet(s) but did not know where to start to find out what to look for. So I wrote a book about pet nutrition, To Your Dog’s Health. 2. What do you like most about being a published author? The realization that people now know I am an educated author who truly knows his/her subject matter. 3. What do you find most challenging in the process of promoting your book? By far getting the "word" out there..it has, and still is, a challenge to let people know that my book is "out there." 4. What advice do you have for struggling authors? Persistence pays, but you need a good promoter to "get the buzz going"
5. Where do you think you will be in five years? I hope to host a syndicated TV Pilot…perhaps on Animal Planet, National Geographic or PBS. 6. What was you most recent book about? Dog and cat nutrition, and how and why nutrition is so important in our pets’ lives. Scarlett Savage is a prolific, up and coming writer who's turning her award-winning hit plays into novels. She F&%$ing Hates Me: A Love Story is a love story for the ages as well as the story of a family struggling to accept each other for who they are . . .and more importantly, who they're not. 1. Your book has a provocative title: She F&%$ing Hates Me: A Love Story. What is it about? It's about a couple (Ava and Buddy) in New Hampshire who wind up living next door to each other in a retirement community. Ava and Buddy dated as teens until he was shipped off to the Vietnam War; she wound up marrying his best friend. Later Ava held Buddy responsible for the collapse of the Irish pub Buddy and her husband owned. But now, in their late sixties, due to their proximity of their homes, they're forced to deal with each other. Is it possible they can find love again? At the same time, Ava's 36-year-old daughter, Suzanne, is staying with her in the aftermath of her divorce. When they get a call from Suzanne's daughter Molly, who plans to come for a visit before starting her freshman year, announcing that she has something to tell them. Suzanne fears that history is repeating itself, and she's about to become a 36-year-old grandmother, especially when Molly comes home with a tattooed, bleached friend, Brandon. But when Molly finally makes her announcement, no one could have predicted how ultra-liberal Suzanne would react . . .Will their family ever be the same? 2. Scarlett Savage – are you as alluring as your name? Are you kidding? My name STRIVES to be as alluring as I am!! 3. What do you love most about writing? I love how you get lost in the worlds of the people you create; I love how people talk. When people interact, they rarely say what's actually on their mind; we talk in code. For example, if I say, "I’m going for a walk!" and storm out, what I'm really saying is, "I'm angry with you and need some space". The way a person talks reveals their upbringing, education, religion, where they were raised, how old they are--pretty much everything you need to know. And how they think, the internal monologue we all have, usually has NOTHING to do with the way people present themselves! Writing is just an excuse to study and to try to interpret the human condition. would probably look at your work and say, "You know, this kid has something." 5. You have been a columnist for One Magazine the past seven years. How does that type of writing compare to writing books and plays? It's very different; you interview people from all walks of life, and you have to figure out what about them they want to share that would be interesting for the reader. You have to learn how to edit out the bits that might be repetitive and the bits that go on and on. You also need to look at what the people want to read about, and find ways to introduce new things to them that they might open their minds to. It's very important to capture a person's tone of voice when you're interviewing them; it's the flavor of the piece. ***Editorial Note: Sheila Roberts, Jerry Gold and Mark Poveromo were promoted by Planned Television Arts in the past year.